San Francisco is the cultural, commercial, and financial center of Northern California. It is the 13th most populous city in the country and 4th in the state of California. It was founded in 1776 and became a consolidated city-county in 1856. As of 2018, San Francisco is the highest rated American city on world livability rankings. The largest industries in San Francisco are Professional, Scientific, Tech Services, Healthcare & Social Assistance, and Accommodation & Food Service. While highest paying industries are Mining, Quarrying, Oil, Gas Extraction, Management of Companies & Enterprises, and Finance & Insurance. Aside from being a popular tourist destination, San Francisco is a city with a colorful history. Here goes a few interesting facts and the list of places you have to checkout for when you’re planning to visit. 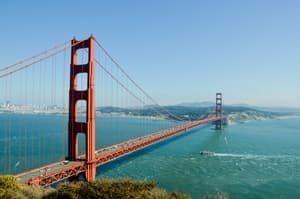 Furthermore, if you found yourself needing more cash during your stay in San Francisco, the go-to place is Title Loans Express. Before it was called San Francisco in 1846, it was called Yerba Buena when it was originally founded in 1776 which means “Good Herb” in Spanish. During the Great Depression, not a single bank that’s based in San Francisco failed. In fact, the city constructed the Oakland Bay Bridge and the Golden Gate Bridge during the Depression. San Francisco is one of the Top 50 most visited cities worldwide. In 2014, the count of tourists went up to 18 million that spent about 10 billion dollars in local businesses. San Francisco takes the 4th place in the world by the number of billionaires — after Moscow, New York, and London. The city is built on more than 50 hills. Many believe it only has 7 or 9 hills, but there are a total of more than 50 named hills. Some of the most well known are Russian Hill, Nob Hill, Telegraph Hill, and Twin Peaks. A few of the lesser known ones are Golden Mine Hill, Excelsior Heights, and Tank Hill. The Frommer’s travel guide describes the Golden Gate Bridge as “possibly the most beautiful, certainly the most photographed, bridge in the world.” At the time of its opening in 1937, it was both the longest and the tallest suspension bridge in the world, with a main span of 4,200 feet (1,280 m) and a total height of 746 feet (227 m). The small island was developed with facilities for a lighthouse, a military fortification, a military prison (1828), and a federal prison from 1934 until 1963. In 1972, Alcatraz became part of a national recreation area and received designation as a National Historic Landmark in 1986. Fuel your passion for food, history, nature or wine with one of Napa Valley tours. 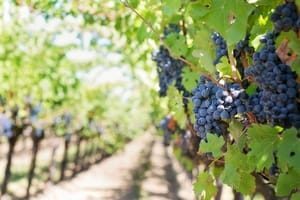 Learn from expert Napa Valley tour guides who know Napa Valley better than anyone else, and get the most out of your trip. 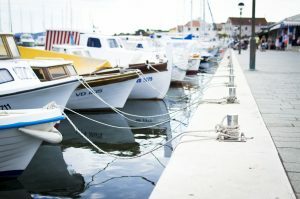 Fisherman’s Wharf is one of the city’s busiest tourist areas. It roughly encompasses the northern waterfront area of San Francisco from Ghirardelli Square or Van Ness Avenue east to Pier 35 or Kearny Street. Historic Fisherman’s Wharf is the classic San Francisco experience where you will find a range of hotels, specialty restaurants, famous attractions, unique shops, breathtaking scenery and entertainment for the whole family.